It was a hot time at the old fire station on Sunday, January 26, 2014! The weather outside might have been cold, but the music and drinks inside were hot. 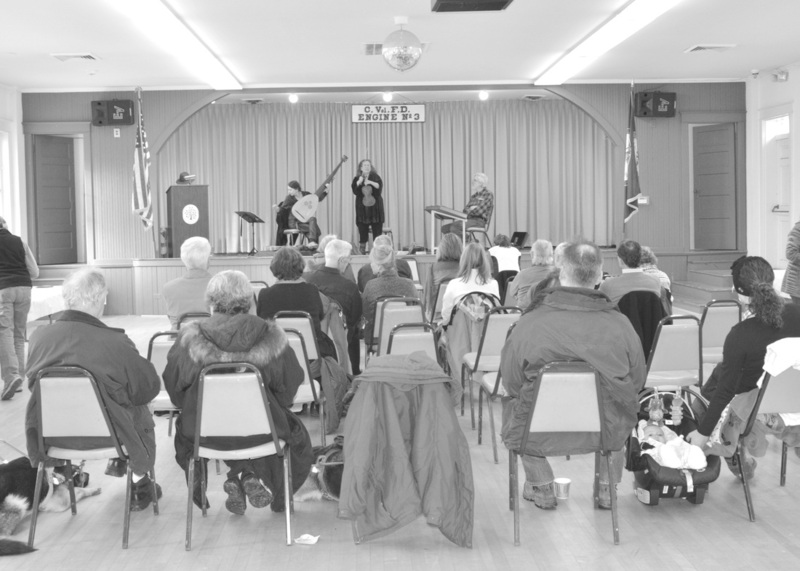 We were treated to a lovely concert by Tina Chancey, Valerie Loomer, and Nick Blanton. 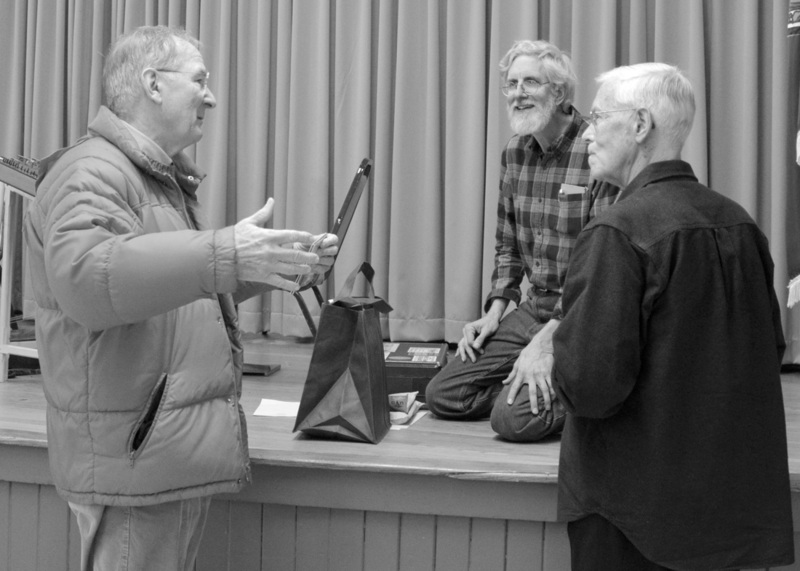 They played Irish music from the earliest sources on original and handmade instruments. The musician friends came together to jam for us from places near and far. Tina resides in Cherrydale; Nick lives in Shepherdstown, West Virginia; and Valerie is here for a month hailing from the town of Orfeuille in the Ardèche region of France. The wood floors and size of the fire station made for perfect acoustics. We got a mini history lesson on the music and the instruments which included a viol, a renaissance violin, theorbo, cittern, early guitar, hammered dulcimer and a very unusual set of bagpipes. Nick joked by telling us that his bagpipes are a safe instrument since they have a seat belt and an air bag. We gave Cherrydale “bling” (hats, bags, water bottles) to the performers. Valerie said that she would wear her baseball hat with the Cherrydale logo all around the Ardèche Mountains of France. 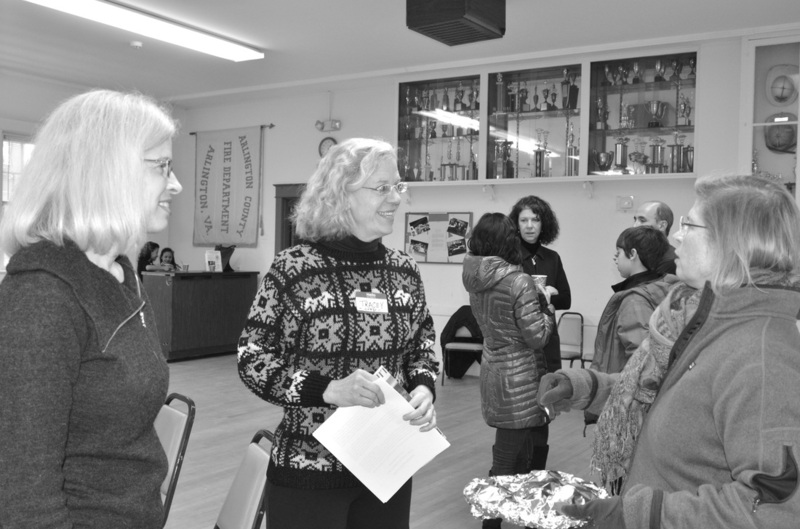 After the concert we met with neighbors and enjoyed the abundance of cookies and hot cider and hot chocolate. The Huther Family of North 20th Road won the cookie contest hands down with an entry of white snowflakes and white snowmen cookies with icing. They were beautiful and tasted even better. A special thanks to everyone what who made this a nice afternoon concert and gathering. Also many thanks to our generous Volunteer Fire Department for helping set up and tear down. Thanks also to Cherrydale’s Valerie M. Blitgen for photo-documentation of the event. 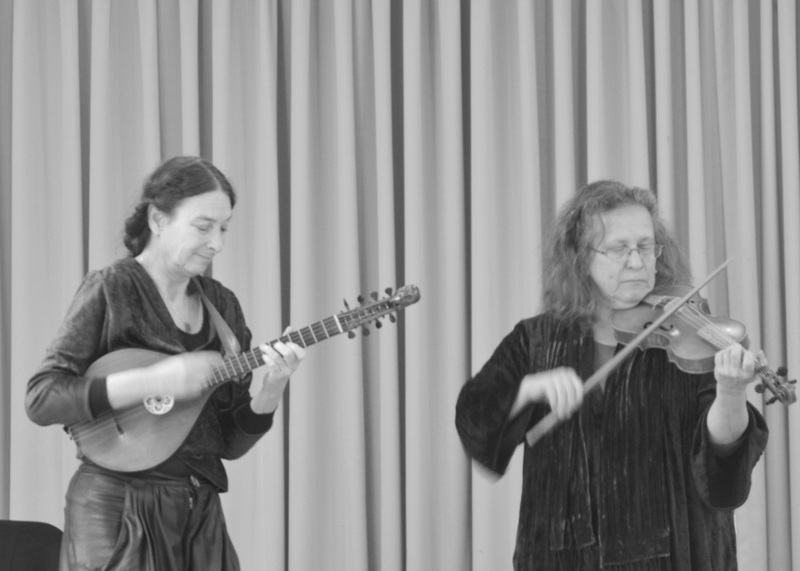 Valerie playing a 17th century style cittern made by Nick (the dulcimer player); Tina playing the renaissance violin. Cherrydale’s very own Tina Chancey who heads the ensembles Hesperus and is a member of Toss the Feathers. 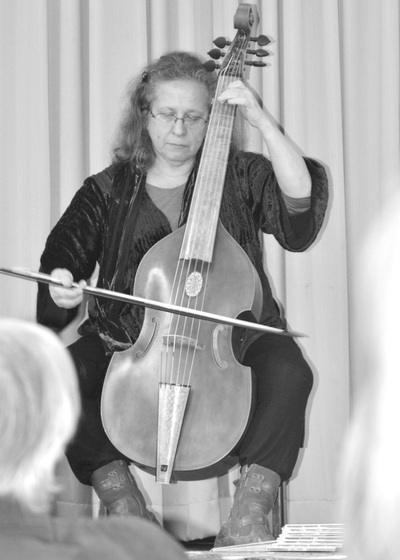 She is seen here playing a viol. Concert on the fire station stage. Valerie playing the theorbo, Tina the renaissance violin, Nick the hammered dulcimer. Nick is an instrument maker. 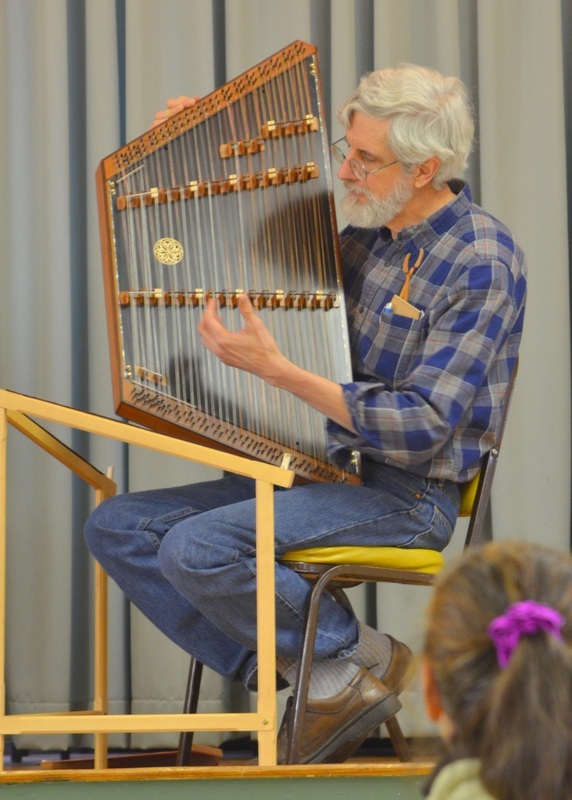 In this photo he is showing a beautiful hammered dulcimer that he made and played during the concert. After the concert learning about the instruments. 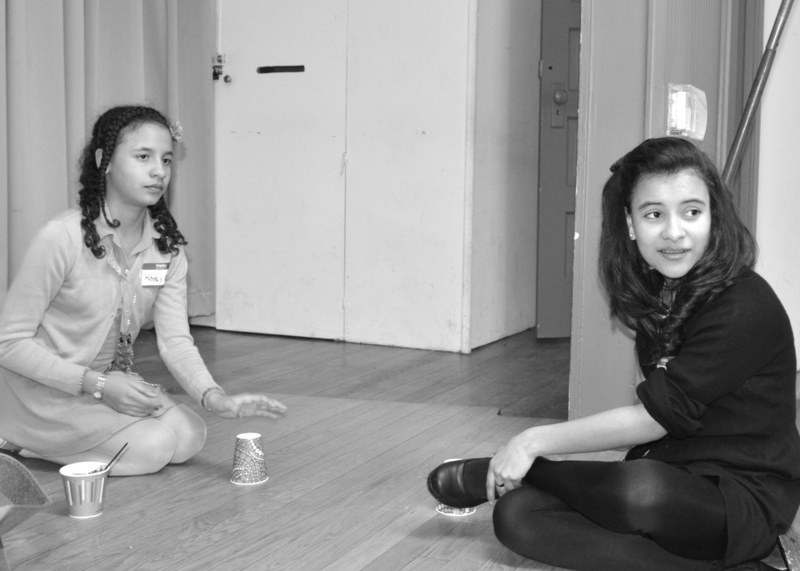 Maureen Ross’ daughters Kandy on left and Matsu on the right turning the cups into instruments. Tracey Price, CCA member and Event Coordinator for the Cherrydale Volunteer Fire Department, chatting with people after the concert.